Fascinating Liberty villa surrounded by a captivating garden in the center of San Remo, once the home of the Shah of Persia. Spacious and bright – beautifully decorated with period furniture in all the rooms, which have private bathroom with shower, satellite TV, telephone, security safe and air-conditioning. 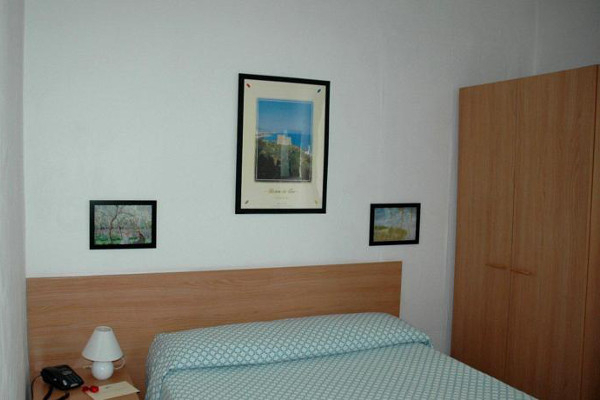 Availability of free cot or small bed in room for children up to 3 years of age. The bar serves a buffet breakfast, also available in the room. Children under 3 years of age may stay free in the room in a cot/small bed. 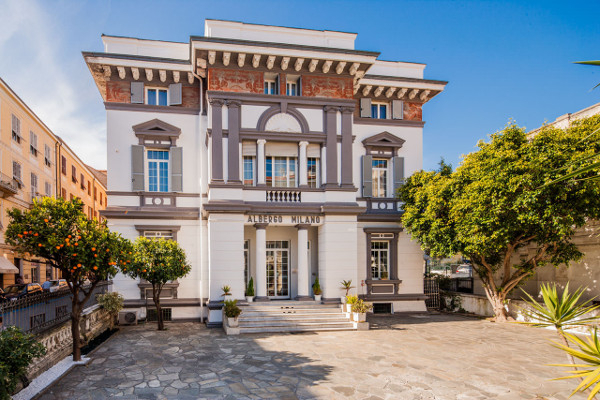 The Hotel Milano is in the center of San Remo, five minutes walk from the famous Ariston Theatre, close to the beach lidos of San Remo and a minute from the Palafiori, the modern conference center on Corso Garibaldi, and the scene of many international events. Autostrada dei Fiori A10 exit Arma di Taggia, proceed in the direction Sanremo and follow the signs for the center of the city.